Web hosting is very important to any website, not only as an foundation of websites, but also because it can greatly effect a brand and/or business. You can spend years developing your website, but server downtime might ruin everything making your business unsuccessful. It’s clear you want your business to succeed, so do your best to put your website in good hands. 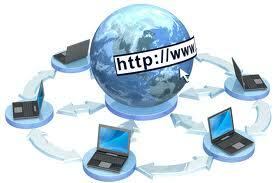 Many web hosts are available on the market nowadays, so choose carefully and wisely. Let’s point out some requirements you should focus on when selecting a web hosting service. Websites might be similar, but they are not the same. This means that requirements we have listed above are not equally important for every business. If you read client reviews and you base your decision just upon them, you might make wrong decision. How so? Let’s imagine the client reviews were alright, but their websites were a way different than the one you are developing. You might be disappointed. On the other hand, if a client is unsatisfied because their web forum is not working well, it doesn’t mean your website will have the same problems. Web hosting is not always good idea for forums, it’s better to look for a forum host. It’s recommended to consider your budget before making a final decision, but don’t choose the host just because it’s cheap. Don’t buy the product/service that won’t meet your requirements. If it sounds good and the price is good, check if there is a money-back guarantee, just in case. Money-back guarantee is good for, at least, two reasons. First, if you find out the service is not good enough for you, you can get your money back and go for something better. Second, even if you are satisfied with service, there is a chance you stumble across web host that is more appealing to you (or a way cheaper). In both cases you will have the opportunity to cancel the web hosting service and have your money back. Talking about the budget, always check if there are some discounts, promotional prices etc. Add-on domains are very important for people having more websites. But, if you plan to stick to one and only website, choosing a web hosting that doesn’t allow unlimited add-on domains might be better and cheaper option. Down time is something everybody should focus on, especially those running e-shops. Your clients shouldn’t find it difficult to access your website, because that might make them unsatisfied by your service and products in general.